Sometimes all we need are loving family, good friends, great books, and chocolate. I can at least help with the “great books” part! 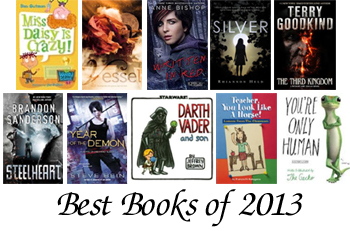 Have a Happy New Year and remember to make books a part of every day! On Hawaii radio, there’s a commercial from Hospice Hawaii that talks about living our last days with dignity and purpose, and asking what’s on our bucket list (#BucketListHI). It reminds us to live each day to the fullest and live without regrets. While this bucket is filled with things you want to achieve, there is another bucket that may be even more important, and what matters is how you fill it every day – not just at the end of your days. When you’re thinking about all the things you wish you had done, think about all the things that you have done – and that people have done for you. A few months ago, my 7-year old son and I read “How Full is Your Bucket? For Kids” by Tom Rath and Mary Reckmeyer. It’s the story of a boy named Felix, whose grandfather teaches him that everyone has an invisible bucket of water over their heads. It can be filled by kind actions and reduced by mean actions. 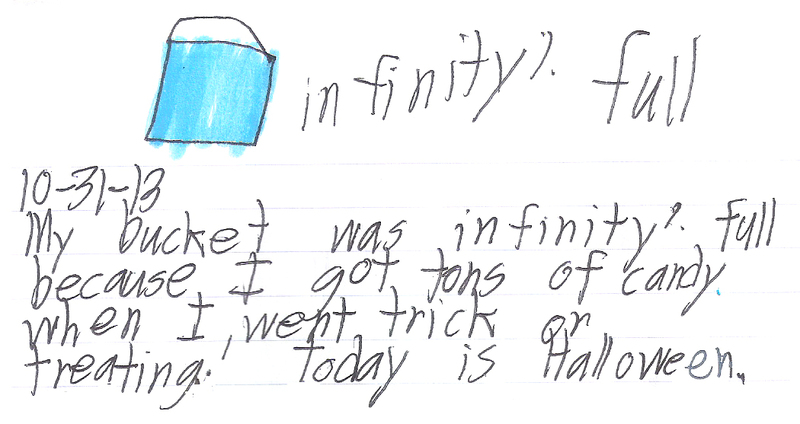 I asked my son to write about how full his bucket is in his daily journal. He was a little skeptical about the invisible buckets, but he took the time to think about how he felt each day, and why. Some days he doesn’t offer an explanation for his (arbitrary) measurement, but when he does, it makes me smile. When was the last time your bucket was 100% full? Or 110% full? Is your bucket filled with kindness or filled with things you wish you could do? All of the recent attention about shopping carts – who owns them, how to get them off the streets, how we treat people who keep their belongings in them – made me think about how much we rely on shopping carts. Some people walk into a store and automatically grab a shopping cart, whether or not they need one. I’ve seen people leave their purses in a shopping cart, and then browse nearby shelves. I’ve seen people pushing carts with only one small item at the check-out line. Whether it’s a grocery store, a drug store, a department store, or a big box store, shopping carts encourage us to buy more and spend more time in the store. It means that stores must design wider aisles and factor in the cost of shopping carts into their pricing. It means that we are tempted to buy things in bulk that we may not need. Shopping cart doctrine #1: Buy only what you can carry. For me, this means about 5 items that I can comfortably carry (I once carried five two-liter soda bottles in my arms, but that’s my limit). This helps me spend less, spend less time shopping, and resist unplanned purchases. Shopping cart doctrine #2: Take a basket (if one is offered). Carrying a basket helps me spend less and resist unplanned purchases, and also gives me the option of putting the basket down if I want to look at something more carefully. By avoiding a shopping cart, I can navigate aisles easier, without worrying about bumping anyone or running over someone’s toes. Shopping cart doctrine #3: Be a courteous carter. If you must take a cart (you’re purchasing a lot of things, buying a large item, or just have a young child who loves riding in race car carts), be courteous to other shoppers. Do practice safe driving. Do not put pets in the cart. Do return carts to the store or a shopping cart return. Do not leave carts between parking stalls, where they can bump other cars. Do ask permission if you must take it home, and return it when you are finished. Do not abandon carts on the street. Do you rely on shopping carts too much? 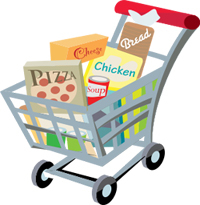 Do you tend to spend a little more when you use a shopping cart? Are you a courteous carter? 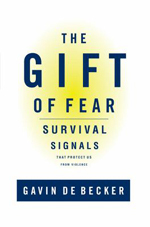 Fear is a gift that can save our lives, according to security and violent behavior expert Gavin De Becker. In his book, “The Gift of Fear: Survival Signals that Protect Us From Violence” (1997), De Becker insists that we are all experts at predicting violent behavior, and shows us that violence has patterns and warning signs – and that fear can save our lives. “Precautions are constructive, whereas remaining in a state of fear is destructive” (page 279). “The Gift of Fear” is a compelling and empowering book about trusting our intuition to keep us safe and predict violence. It’s written mainly for women, since women are more often victims of violence. It’s filled with conversations, cases, scenarios, and insights into human behavior. It gives us strong, confident ways to respond to threats. De Becker warns that “We tend to give our full attention to risks that are beyond our control (air crashes, nuclear-plant disasters) while ignoring those we feel in charge of (dying from smoking, poor diet, car accidents), even though the latter are far more likely to harm us” (page 32). He points out, “Why does America have thousands of suicide prevention centers and not one homicide prevention center?” (page 33). Instead, we need to start listening to our fear. We need to believe that we or someone we care for will be a victim at some time. We need to realize that we are responsible for our own safety and that we must trust our intuition/gut feeling. De Becker outlines 7 basic “survival signals” to watch for when dealing with strangers. By identifies these techniques, we can learn to evaluate the potential for danger in every situation. 1. Forced teaming (they project a shared purpose or experience, such as “both of us”). Response: refuse the partnership (“I didn’t ask for your help and I don’t want it”). 2. Charm and niceness. Response: remember that niceness does not equal goodness. 3. Too many details. Response: think about context (would a stranger share these details?). 4. Typecasting (they make criticism that can be disproved by doing what they want, such as “Don’t be too proud to accept help”). Response: silence. 5. Loan sharking (they offer to help to create a sense of obligation). Response: there is no debt. 6. Unsolicited promises (they make a promise you didn’t ask for). Response: skepticism. * When dealing with persistent, unwanted attention: Ignore it. Do not engage. * When dealing with a confrontational, problem employee: Fire them as soon as possible. Executives need to let managers know that they should put safety first and communicate their concerns, instead of worrying that they are over-reacting or can’t manage their people. * When you are leaving an abusive relationship: Take actions that make you unavailable to your pursuer. Go to an at-risk women’s shelter. Get away safely. * When dealing with a stalker/unwanted suitor: “No” is a complete sentence. Do not negotiate. Do not explain. Give one explicit rejection, like “I don’t want to be in a relationship with you” and then stop all contact. * When dealing with assassins and stalkers who are determined to kill you: Limit the likelihood of an unwanted encounter and take reasonable precautions. * Reporting an act of violence: The media, including bloggers, should focus on law enforcement and downplay the criminal’s ability and glamour. Be warned that after a widely publicized attack, the risk of other attacks goes up dramatically. This isn’t a handbook for victims of abuse; it is meant to teach regular people, who haven’t experienced violent situations, to turn fear into awareness and vigilance. One of the most important lessons I learned is that “No” is a complete sentence. It taught me that I have more control over interactions with strangers than I thought. Though this book was written over 15 years ago, the strategies for evaluating and responding danger are just as timely. Find out more about Gavin De Becker on his website at http://gavindebecker.com. I am trying to teach my 7-year old son that the holidays are about more than just buying and receiving gifts. I want him to appreciate what he has, not focus on what he doesn’t have. I want him to think about the gifts he really wants, not just the gifts he wants right now. * Selling with a smile. My son set up a table at the Keiki Swap Meet, hosted by the Children’s DiscoveryCenter. On a Saturday morning, my son sold his gently-used books, DVDs, puzzles, toys, and games. Not only did this reduce my son’s clutter and make room for holiday gifts, it taught him to evaluate the toys he really wants – and gave him some spending money for Christmas gifts. He greeted customers, suggested toys, added up sales, and made change. He also learned about treating customers well – whenever someone made a purchase, he offered them a free “prize” (a pencil, stickers, a tattoo). He didn’t try to hold on to toys that he no longer played with, and was happy to meet some of the kids who bought his toys. Tip #1: Practice being friendly. My son to practiced saying “Hi” and “Welcome to my store” with eye contact and a smile. I reminded him to thank everyone who stopped by, even if they were just looking. Tip #2: Collect “freebies.” Whenever my son gets free stickers, tattoos, pencils, and other trinkets, we put the things he doesn’t want into a small box. We had a nice assortment of “prizes” to give away. * Giving to others. In the weeks before Thanksgiving, my son and I put together two shoeboxes for Operation Christmas Child. My son chose two of his new, unopened toys for boys aged 5-9. To each box, we added toothbrushes, toothpaste, pencils, erasers, stickers, toy cars, a book, and other small toys. It gave us a nice feeling to prepare a Christmas gift for a child somewhere in the world, who might not get a Christmas present. When he pointed out that Santa gives every kid a present, I answered that sometimes Santa needs our help (he accepted that, but rejected the idea that Santa goes on vacation in Hawaii, because “he has too many toys to make”). During National Collection Week, we dropped off our shoeboxes, complete with gift wrap and labels, and learned that our gifts will be sent to Nepal. Tip: Set gifts aside year-round. If my son receives too many birthday or holiday presents, I usually set aside some of them, and bring them out throughout the year. So we already had a stash of small toys and games that we could share, without having to spend extra money. * Sharing our thankfulness. On Thanksgiving Day, in addition to a lovely dinner, we created a “Thankful Pumpkin Patch.” We gave everyone a pumpkin cut-out, asked them to write something they are thankful for, and added it to our thankful patch. We could just go around the dinner table and share our thanks, but I like the idea of writing things down; there’s less pressure to come up with something witty or eloquent, and it gives everyone a chance to read each other’s responses. Tip: Thankfulness as art. Some ideas to turn your thanks into year-round art: write your thanks on a “Thankful Tree” (fall leaves), a “Thankful Patch” (pumpkins), a “Thankful Turkey” (feathers), or “Thankful Stones” (stones or pebbles). How do you balance giving and receiving during the holidays? 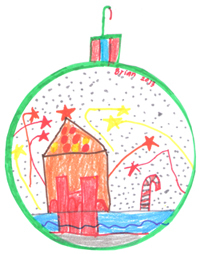 What do the holidays mean to you? You are currently browsing the Better Hawaii weblog archives for December 2013.